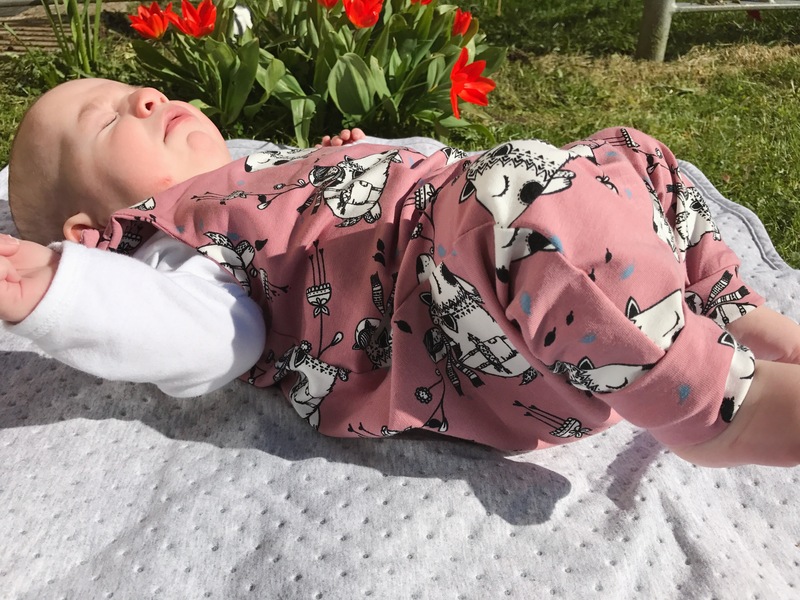 When Mary, owner and creator of bearandbabe, contacted me asking if I could review her handmade clothes I was both excited and apprehensive. Mary told me she had started her company in September last year, handing in her notice to her nanny job recently, it meant she was now solely working for herself and round her 2 young children. 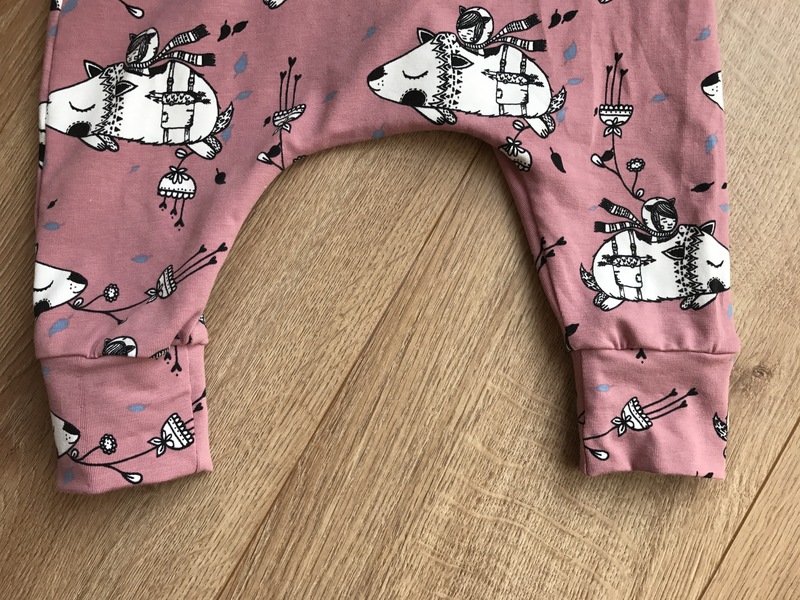 All children’s clothing at Bear&Babe are handmade by Mary herself and I realised they were all a labour of love, increasing the emotional connection with the items I would be sent to review. So I thought, what if her clothes don’t live up to my , possibly too high, expectations of kid’s wear? I would hate to tell her “sorry you just put in a lot of work hand making something for us but I unfortunately don’t like them”. It was a bit out of my comfort zone. I politely explain to Mary where I stood and that although her clothes looked lovely online, if she sent me some I would need some time with them, I wanted to see how they would wash, how they would hold up being used over and over again before I could review them ! Mary was happy for me to give her clothes a good drive and told me to just take my time with them, which was lovely of her. 2 weeks later and the clothes arrived with the postman. 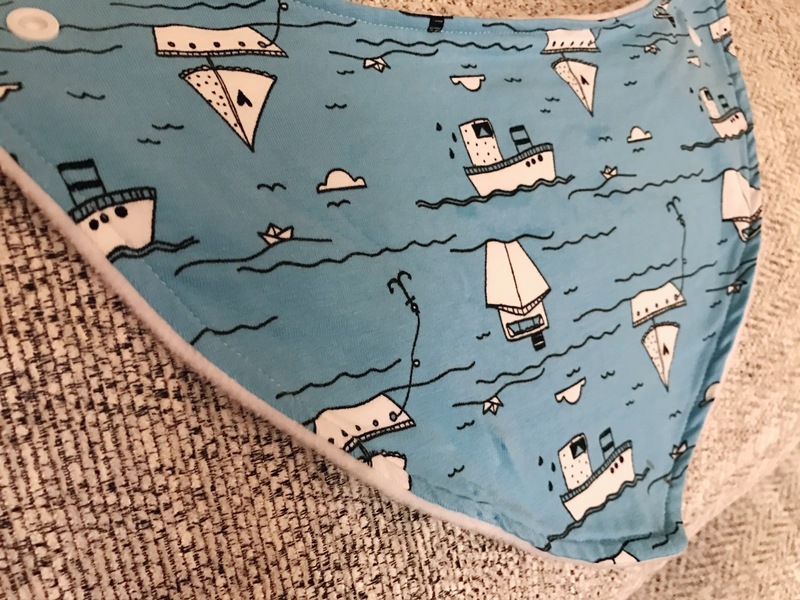 I absolutely LOVED them, they felt so soft, the organic jersey cotton she uses really is the softest of fabrics, while also having a little stretch. I looked at all the details, the stitching was absolutely perfect, you could see the care and love with every thread! 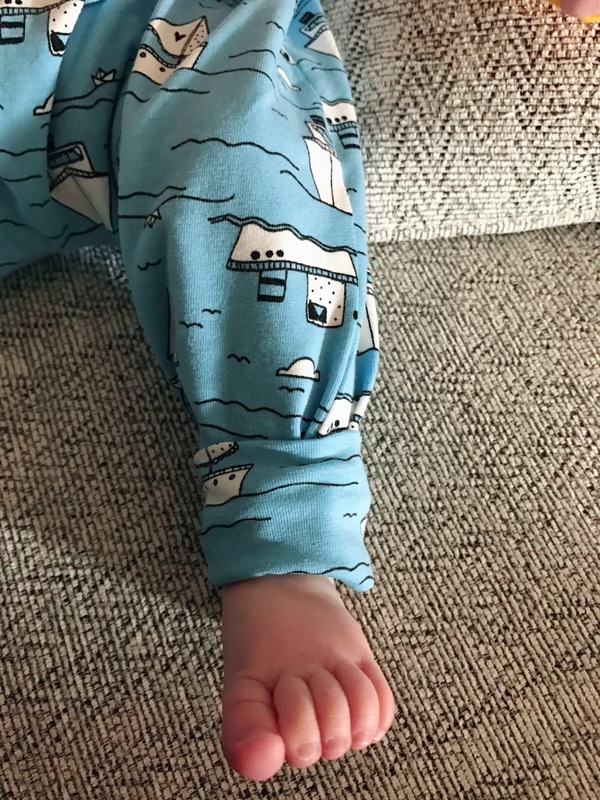 The harem pants really are just the thing for little Isaac, as they’re loose, with a low slung crotch and it’s absolutely perfect for his cloth bum. The ankles cuffs also fold down, keeping his ankles and feet warm when I have him in the sling. 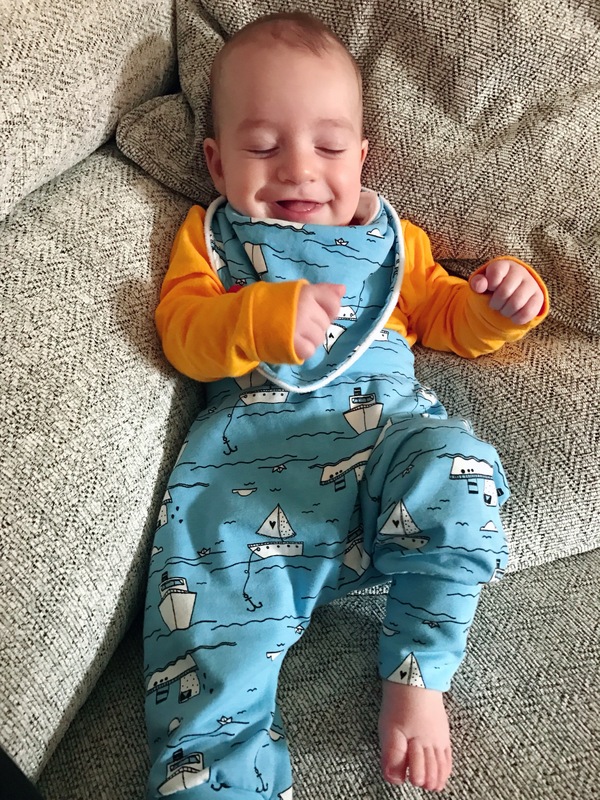 The matching bib is very absorbent even for a dribble monster like Isaac. It’s finished with a set of 2 snaps, we are using it on the smallest setting , meaning it will grow with him. 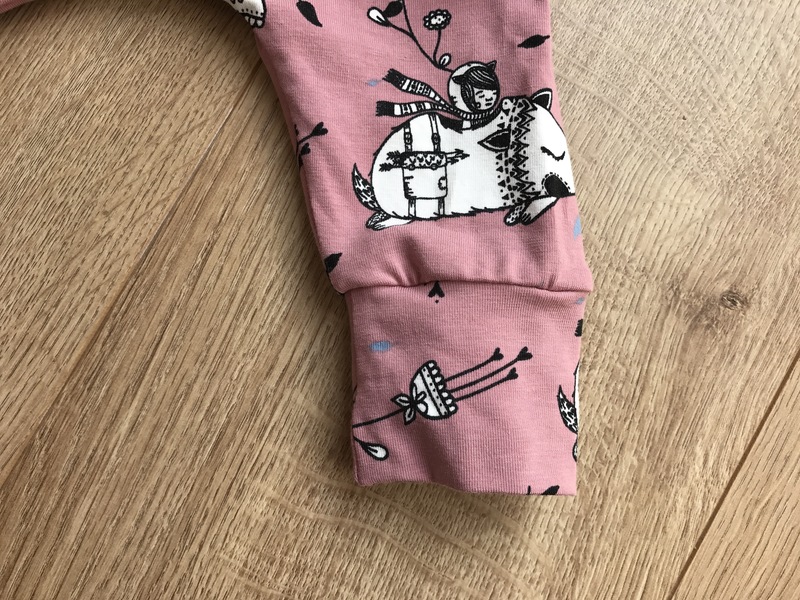 The leggings are amazing, just the perfect combination of softness and stretch, It accommodated Isla’s cloth bum really well but equally they stay up without a nappy under, meaning we will get a lot of wear out of them once she potty learns. And then the romper! It’s pure love and everyone who knows me will tell you I have a soft spot for dungas. 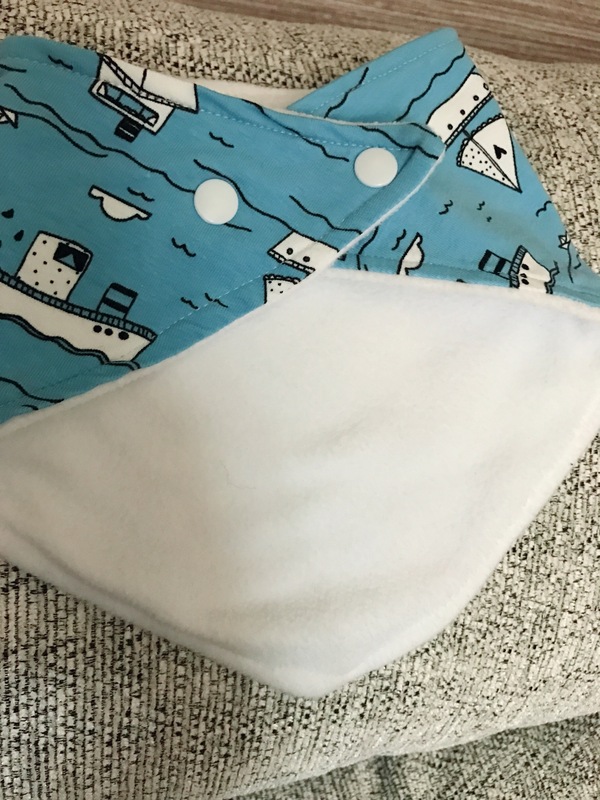 They are comfortable for Isaac and for me too when we are babywearing, as no sweaty fabrics between us! They have the same cool features as the pants. All items washed really well, no colour fading or bobbling at all. 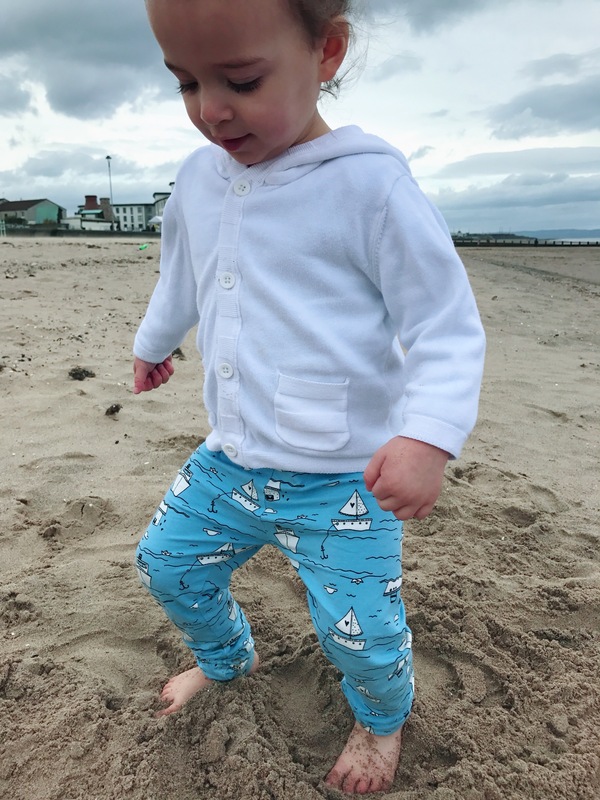 I now know I shouldn’t have worried at all, Bear&Babe clothes have quite honestly surpassed my expectations and I would very much recommend them to anyone looking for style and comfort for their little ones. Mary is very professional, replies to messages very timely and is the loveliest of persons too. 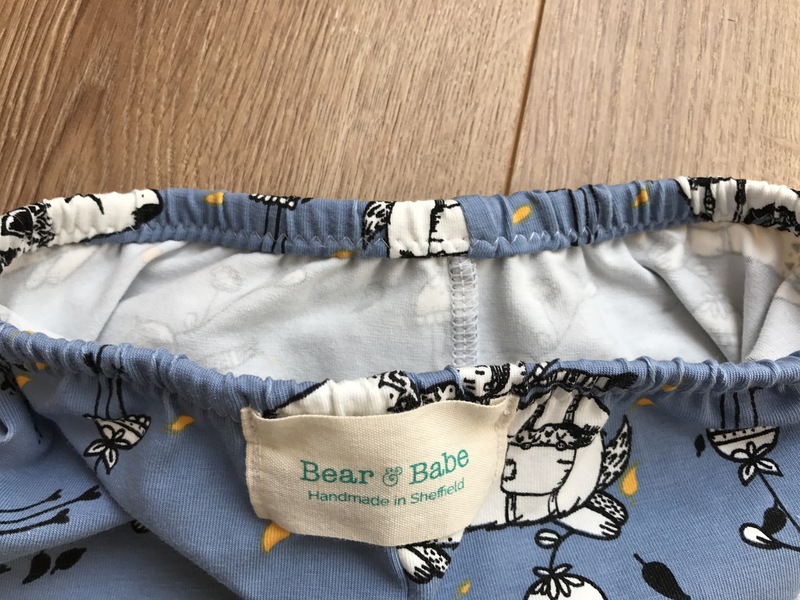 It’s been an absolute pleasure reviewing Bear&Babe clothes and I have feeling I will be buying some more soon!